Guest Post: 6 Things I Want You to Understand About Being Homeless in America. 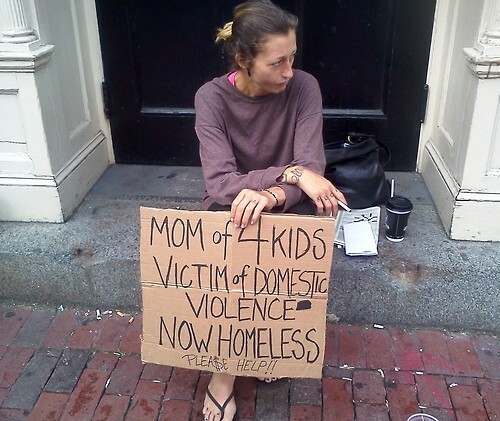 6 Things I Want You to Understand About Being Homeless in America – by Jayda Shuavarnnasri. It’s been long overdue that I’ve written about my time in D.C. doing the Homeless Challenge. Life moved on once I came back, and before you know it I was on a flight to Bangkok, still sharing my experience here and there and trying to process it all at the same time. And of course, that right there perfectly reflects my privilege of not actually being homeless. For some reason I thought I would have some more clear cut answers to share with those who cared enough to ask. I also thought that when people listened to my experience, they would have more in depth reactions beyond, “so what did you learn?” That became the dreaded question after a while as I tried packaging my answers into something they could swallow. And that’s what bothered me most…having to package together an answer. I didn’t leave D.C. with this list of lessons learned or facts and stories just so my friends could be like, “Omg. That’s crazy. Because of you, I totally know what it’s like to be homeless now.” For some reason, I feared that sharing my experience would lead to this belief and because of that, I felt like I needed to word my answers correctly when asked, and eventually I just wouldn’t talk about it at all. Now here I am 3 months later, I am compelled to finally write something (the littlest I can do), in hopes that those who listen can be motivated to do more in their own lives. Disclaimer: This is from my own perspective, and I’ve tried to be as accurate as possible using what I know about homelessness…which probably isn’t a lot. We live in a system that makes it extremely difficult to get out of homelessness. I think there’s a prevalent assumption in our society that homelessness is caused by an individual’s inability to make the right choices in their life, after all, you’re friends and family have been able to survive just fine through hard work and perseverance right? But the reality is that there are so many factors that lead to homelessness such as running away from an abusive family, having a mental/physical disability that prevents the ability to work, being kicked out for being LGTBQ, financial crisis, addiction/substance dependence (which is classified as a mental disorder), and the simple fact that housing, food, and healthcare in the United States are so expensive. There is no way that even if a person had a minimum wage job, they could afford a place to live in many areas of the Land of the Free. People tend to assume that a if a person is homeless, they must not have a job, but there are plenty who do (I met a security guard while I was having breakfast at a soup kitchen in D.C.), but they often don’t make enough for basic necessities like food and shelter, and life is even harder if you have children. And for those who don’t have a job, how easy do you think it is to get one? Are they supposed to walk in with all their belongings, in their usual attire, maybe having showered, and just fill out an application? And what address do you think they should provide? And if they are hired for a job, would they have reliable transportation? For those two weeks that they wait for their first paycheck, who can take care of their kids? How will they do laundry? Would you honestly interview or hire someone you suspect is homeless? My point is, there are so many hurtles that a homeless person has to face, and our system does very little to change that. Hunger is such a small part of the problem. For many of us, when we see someone begging for change, we feel better if we just gave them food instead, because after all they could be some drug addict trying to get their fix and you wouldn’t want to support that, right? I’ll talk about this stereotype later but there’s something bigger I want people to understand about homelessness and hunger. In big cities, food is not that hard to find. There are shelters and soup kitchens that serve food regularly and most of the homeless community know exactly how to get a meal. There isn’t so much a lack of food, as there is a lack ofquality food. The meals I ate during my week in D.C. were not nutritious at all. Canned vegetables, iceberg lettuce, pasta (and not the whole grain kind), and lots of white enriched bread. I had so much carbs that week! Most foods given to the homeless community is not meant to be nutritious, it’s just meant to fill you up. But as we know, the things you put into your body are important for maintaining your health and energy, which was reflected in my own physical health by the end of my Homeless Challenge. By the time we were done, my body felt like it deteriorated. I had a fever, chills, body aches, and barely any strength left to carry around my bags. A woman we met who was homeless at the time, shared with us that exhaustion was a normal part of life for a person who is homeless, and frankly if I was in that situation for weeks/months/years at a time…I don’t know how I would even manage to try and find work. With this being said, I also invite you to think about your own access to quality foods. All the healthy meals you cook for the week, the delicious trendy foods you instagram on the daily, and all the expensive fair food you get to indulge on this summer…what a luxury it is for us to call ourselves “foodies” while thousands of people are starving for nutrients. “No one in their right mind chooses to be homeless.” A man we had met, known as Better Believe Steve had said this to us when he shared his story of homelessness. (This was the night I cried my eyes out because this mans experience broke my heart…if you want to know more about that then ask me another time) I want people to realize that aside from a small number of “nomad/traveller” types, people do not choose to be homeless. The circumstances in their lives have lead them towards a path where being homeless is a last option. Look at how much invisibility and loss of dignity is attached to being homeless. Or the constant threat of discrimination and violence. Really, who would not actually want a roof over their head? A safe place to sleep is a basic necessity, but for many people there are no safe places, which may be why the streets become their best/ only option. Also there are many who choose to stay on the streets rather than in a shelter, (a shelter is still not a home! ), and that’s because some shelters are so poorly run that the streets become more comfortable. People who are homeless are not lazy, crazy, drug addicts that can’t be helped. I hate these stereotypes. I dare you too look at your circle of friends and tell me that you don’t know a single person who is lazy, a person who may be a little “off” mentally, or a person who does not use drugs. We all have those people in our circle somewhere, so don’t try and think you’re so above a person who is homeless just because you’re not the one begging for change. As for the “crazy” part, first off it’s offensive to call anyone that, as it further stigmatizes mental health, preventing people from understanding or seeking treatment. But if we’re going to talk about mental illnesses, yes they are prevalent among the homeless population. That means people don’t just need help finding a job or home, they need services and medication that can also help them deal with whatever mental or medical conditions they have too. Addiction is a problem as well, one that should also be recognized as a challenge that needs to be over come with assistance and services. Every person is deserving of help. No matter what a person may be battling, it does not make them any less deserving of safe, adequate, and affordable housing. Homelessness can happen to anyone. If I were to ask you, “What does a homeless person look like?” what would be the first image the pops into your head? I ask this because so many of us don’t realize that we could actually be friends or acquaintances with someone who is homeless, and not even know it. Begging or sleeping on the street is not what every homeless person does…some can afford to stay in hotels or jump from friend’s houses. Either way, they don’t have a secure home. I know of so many financial struggles from my own friends/family and I always think that at any moment, it could be one of us. The biggest reality check I had was when I met a girl at my own school, University of San Diego, who had spent a entire year during high school homeless with her family. Thankfully they were not on the streets, but the three of them shared one bedroom that a friend had lent them, while the mom went back to school, the dad worked two jobs, and the daughter tried getting through high school. If you really want to help the next time you see a homeless person, don’t just hand them things. Okay, if you’re that compelled to give them the change from your pocket or your leftover Subway, by all means do so. I’m not discouraging your act of kindness. But I think it’s important to first ask yourself, why are you giving? Is it because you want to help? Or because you’re trying to ease the guilt that you feel inside, and providing charity makes you feel better. Those aren’t easy questions, but the reason I ask is because one of the biggest problems when people want to help a cause is that they assume they already know the solution without asking the ones they are claiming to help. This is something I’ve learned from Counseling (Human Services) classes and in my Development (Peace and Justice), courses. We want to help, and when we witness the problem with our eyes, we automatically think we know what that person or community needs. We see barefoot kids in poor countries so that must mean they really need shoes! Forget about clean water, nutritious food, or economic opportunities (I’m looking at you TOMS shoes…but I digress). We see a poor man begging on the street, well he must be hungry so I’m going to buy him some food! But what if he needs medication? Toothpaste? A pair of socks? What if the woman standing at the end of the freeway needs money for baby formula? Or pads? Or some shoes? We have no idea what they really need unless we ASK. Such as simple thing to do when we want to help someone, but many of us don’t. Instead we keep a barrier up and just hand that person enough to make ourselves feel better and then we move on with our lives. Either way, my point is to ask how you can help. Because showing someone respect and being a good helper, includes recognizing an individual’s own agency to transform their own lives, even if it’s just for that moment. So with all of this, what did I learn? It was only 48 hours of being “homeless”, so how much could I really takeaway from this experience? More than I thought, but certainly not enough to be able to solve this systematic problem that affects over 600,000 Americans. What I’ve come to realize is that I didn’t learnmuch. What I did was experience and absorb.What I did was become mindful of my existence within the homeless community, while recognizing my own privileges as a young woman. What I heard, felt, smelled, and witnessed were beyond my usual routine as a suburban, college educated woman with a supportive family. And what I do strive to learn is more about how I can positively affect the lives of people who are homeless on the individual and the national level.